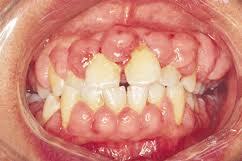 Drug induced gingival hyperplasia is one of the common causes of gingival enlargement. 2) Immunosuppressive drug (cyclosporine) and 3) calcium-channel blocking drug (nifedipine). Phenytoin is usually prescribed for the treatment of seizures where as calcium channel blocking drugs are used to treat heart diseases, angina and hypertension. 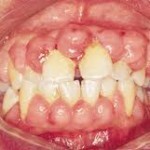 This entry was posted in Gum Disease, Oral Care, Uncategorized and tagged drug, drugs, gingival enlargement, gum swelling on January 1, 2012 by SH.